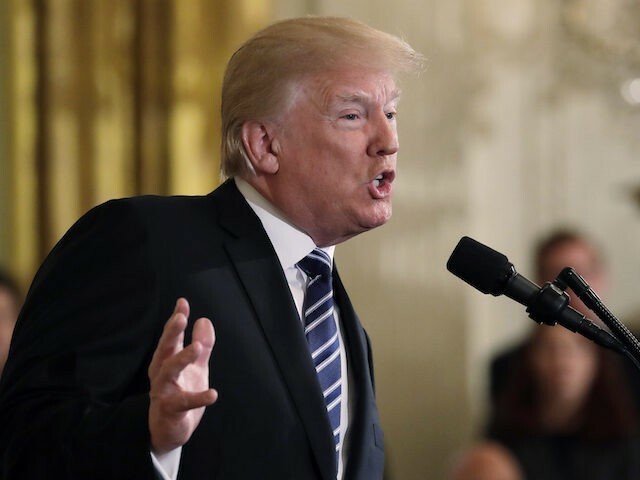 President Donald Trump reacted to the latest school shooting on Friday, lamenting the deaths that occurred at a high school in Santa Fe, Texas. The Houston Chronicle reported that at least eight victims were killed in the shooting. “This has been going on too long in our country, too many years, too many decades now,” Trump said. He expressed his sadness about the frequency of mass shootings, promising that the government would continue working to stop such events. The White House said that Trump spoke with Texas Gov. Greg Abbott to offer his condolences to those affected by the shooting at Santa Fe High School and to offer his assistance. Trump sent a personal message to the victims and their families. Trump made his remarks at the White House on Friday ahead of a speech on prison reform. Earlier Friday, he reacted to the news on Twitter. The Haris County Sheriff Ed Gonzales revealed on Twitter that two people were in custody after the shooting and one police officer was injured.